After meeting with my district librarians this week, I realized that perhaps it would be helpful to spell out some details of our iPad implementation (my previous posts about the results of our pilot study and teacher responses are here and here) for both our own staff, but perhaps it will be of interest to others as well. So here’s our story. We purchased six iPads (16 Gig, no 3G), but if you purchase ten via Apple’s education package, there is a discount of about $50 per iPad. Our future district orders will be consolidated, but our fundraising funds were more limited for our initial pilot. Other items we purchased were covers; I wanted a foldable cover that would function like a book but also stand up so we purchased the basic Apple cover, though it does show every bit of dust since it’s black, but I liked that it folded up like a book and covered the screen. We also purchased 1 Apple keyboard (with dock) to try out, which was an excellent addition in terms of making the iPad even more versatile, and we’ll be buying more, but wireless ones this time. Once we received the iPads, my only initial disappointment was that when I opened the new boxes, I somehow had this notion I could just start playing immediately, but of course the device has to be synced to a computer first. I created a generic account on ITunes to use to sync all of the iPads. Gift cards can be used to fund the iTunes account, which no longer has to be tied to a credit card, or the district credit card could be used(if you have one). The benefit to syncing all of them to the same account is that you can keep the set of iPads uniform. As far as other apps, Apple prefers that each iPad have its own paid apps, but since we were using only free apps, that wasn’t a concern initially. However, while we were midstream in our process, Apple announced their group app pricing, where you can pay for 20-user app licenses. As we get more iPads, this would be our preferred purchasing method. I then proceeded to look for education apps in a variety of subjects using both the iTunes browser and the App browser on the iPad itself, since our iPads are to be used not only in the library but for classroom purposes as well. Along with our technology coordinator, we have created a spreadsheet of iPad apps we have tried out thus far, which can be found here. And of course, we’ve found out about apps from Twitter, blogs, and other excellent lists that I have been collecting on my delicious bookmark page (Ipadsinclassroom and iPads tags). Another really excellent resource we recently discovered for App reviews is Iear.org where users can collaborate to share app reviews. 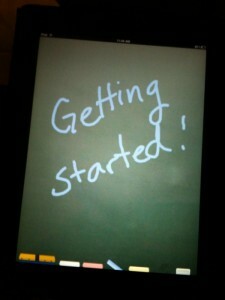 IEAR also has a Ning group which users can join to keep up with even more questions and reviews regarding iPad apps. We also are interested in the e-reader aspects of the iPad, so we loaded several e-book reader apps on ours, including Kindle, Nook, iBook, Stanza, and Kobo’s readers. Most of them have free book offerings as well as paid book offerings, and we’ll be working on comparisons to these as we utilize them more. Because Amazon does allow you to sync five devices to your Kindle account, we were able to add a matching set of e-books that we purchased to five of our iPads. As far as actual implementation, we began by circulating the devices for 3 days to individual teachers and administrators, to let them explore apps, try out the device either personally or in their classrooms, and get familiar with them if they weren’t already. We then had some students try them out and give feedback on a survey about the e-book apps, use of our databases, and general comments about the iPad’s use in school. Then I opened it up to classroom uses–issuing all of the iPads together like a mini-lab, if needed, and working with teachers to design a lesson or adding the apps needed for the lesson. This is fundamentally how I see them being used–a mix of teachers using one in their classroom or at a conference, along with them being used as a set in the classroom or on field trips. My recent article(preview) for Multimedia Schools details our pilot process more completely(unfortunately you either need access to the print magazine or a database to retrieve the full article–check w/your librarian, as it is accessible via Ebsco). 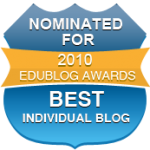 I have written about some of the teachers’ lessons thus far in previous posts if you’d like to know more. As teachers put them to real world uses, we are continuously adding apps that fit their curriculum, so having the new “folders” feature of the new OS that is coming will be very helpful in terms of organizing the screens. A few students are very interested in checking out the iPads as well, but since we’re using them as mini-labs, and since we have so few of them, that’s a difficult decision. We may ask a member or two of our student focus group to take them “through the school day” and give feedback for data gathering purposes and future decision making. Our TCEA tec-sig listserv has been an invaluable resource for ideas and technical information on using the iPads, so if you are in Texas, that can be a very helpful resource as well. 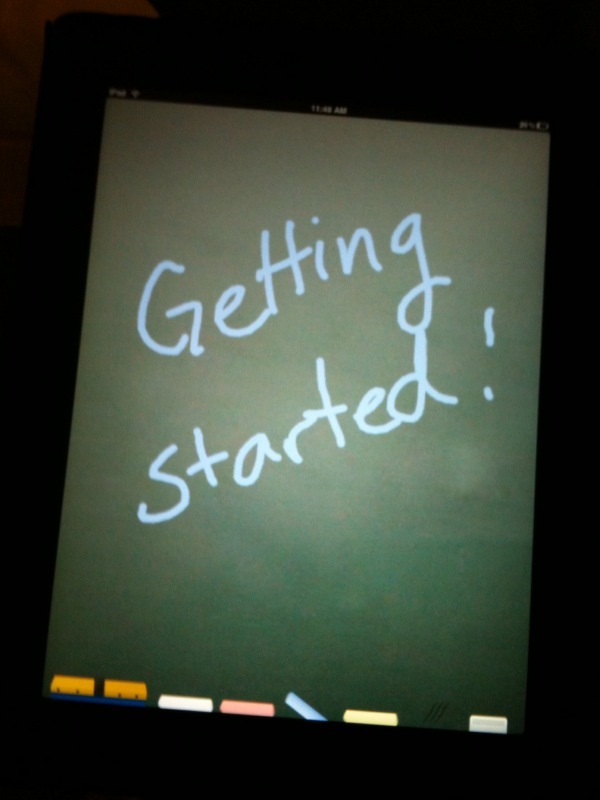 My goal was to get the iPads in the hands of as many teachers and classes as possible, as quickly as possible. The point really isn’t the iPad itself, but the transformative ways it can be used in the school and in the library–the things it does more effectively or efficiently than a laptop might–the portability–and the creative ways it can enhance the teachers’ or librarians’ instruction. That’s what I’m most interested to see developing, because then the technology melts away and its just used for learning. And isn’t that the point of it, after all? This post has been very informative for me. My library just received 10 ipads. I am interested to know if the cases you purchased have been enough to protect your ipads for use in the classroom. We are looking at buying otter boxes for ours, but they are expensive and don’t have a cover for the front of the ipad. What do you think is best now that your school has been using them for a while. We purchased the standard Apple iPad case. It works fine, but my only issue with it is that the outside of it collects dirt a bit. Apple also has a padded one that is more expensive but might avoid that problem. I was just looking for something that closed and had a built in stand within the cover, and that was fairly sleek and not bulky. As far as the Otter Boxes, I prefer having a cover on them. It just protects them better in terms of students or teachers checking them out. If you want to have a built in keyboard, this case looks very nice–the keyboard is a part of the case! http://www.zagg.com/accessories/zaggmate It’s more expensive however. How is your library planning to use them? Thanks for your comment! Thanks! I also have another question. What e-mail account did you use to set them up? I have received one and I have 10 for my library. I really don’t think I want to sync mine with the same account that will be used in the library and the classrooms. I saw online that there were problems with using the same e-mail to set up 2 different accounts. Thanks so much for your comments. We are very excited to start using these. Do you know if you can use the same e-mail to open 2 different accounts. I have an ipad for the librarian positon and others for student use. I don’t want to sync the librarian ipad with the same account used for the student ipads. Sharon, I think it makes sense to have two different accounts. We have a generic school account, but I also have one set up as a different librarian account. I use mine to test out apps and decide whether or not to roll them out to all the student iPads. You can just create a second email if you don’t have one, somewhere like yahoo, or gmail, for the purpose of managing another account. I have a library yahoo account for setting up things like iTunes, Flickr, etc. myself.